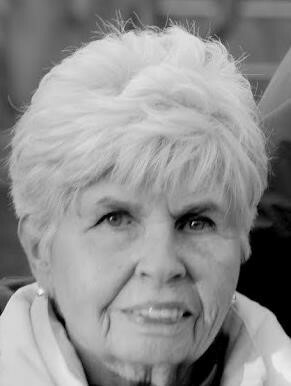 Marie Patricia Sullivan, 87, of Scituate, passed away peacefully Tuesday, January 15, 2019, surrounded by her husband and their seven children, after suffering an unexpected stroke. Born in Boston, Massachusetts, on February 19, 1931, Marie was the daughter of the late Michael Cronin and Mary O’Sullivan of County Kerry, Ireland, and Jamaica Plain, Massachusetts. Marie was a member of the Class of 1949 of St. Thomas Aquinas High School in Jamaica Plain, Massachusetts. In 1994, she earned her B.A. in English from the University of Massachusetts, Boston. She worked for the Boston Elevated Company (later the MBTA) as an executive secretary, before getting married in 1960 and devoting her life to her husband and children. Marie enjoyed baking and cooking, doing volunteer work for a number of local non-profits, including the Pine Street Inn and the Cohasset Garden Club. She was an avid reader and member of the Classic Book Group at the Ventress Memorial Library in Marshfield, MA. Marie is survived by her husband, William (Bill) and her seven children and 17 grandchildren: Michael and his wife Lisa and their two children, Connor and Danny, of Bridgewater, MA; Mary and her husband Tom and their three children, Michael, William, and Caroline, of Duxbury, MA; William and his wife Nancy and their two children, Sidney and Olivia, of Pembroke, MA; Brendan and his wife Alison and their three children, Andrew, Renee, and Nathan, of Tucson, AZ; Ellen and her husband Jeff and their four children, Hannah, Molly, Ella, and Tess, of Holly Springs, NC; Catherine and her husband Peter and their three children, Lily, Jack, and Ruby, of Duxbury, MA; and Matthew of Quincy, MA. Also survived by her late brother Timothy and his late wife Mary of West Roxbury, MA, her brother James Cronin and his wife Virginia of Avon, CT and many nieces and nephews. Family and friends are invited to celebrate Marie’s life at McNamara-Sparrell Funeral Home,160 So. Main St (across from St. Anthony Church), Cohasset, MA on Sunday, January 20, from 2:00 to 6:00 p.m. A Mass of Christian Burial and celebration will be held on Monday, January 21, at 10:30 a.m. at St. Anthony’s Church, 10 Summer Street, Cohasset, MA, 02025, followed by interment at Cudworth Cemetery, Scituate, MA. In lieu of flowers, gifts in Marie’s memory may be made to the Pine Street Inn.